The heart of a computer is the processor and that is what Intel makes. Let us see how Intel is constantly reminding the consumers about what they build and inspire them to engage with their technology. In a bid to engage consumers and promote its i5 processors, Intel is doing a range of promotions. To push the sales of i5 processors in India. To make the consumers think of Core when they make the next purchase. So, they want to increase the awareness, involvement and association with the Intel Core brand. Youth in the age-group of 19-35 years. This is the largest consumer segment of all computing and communication products. 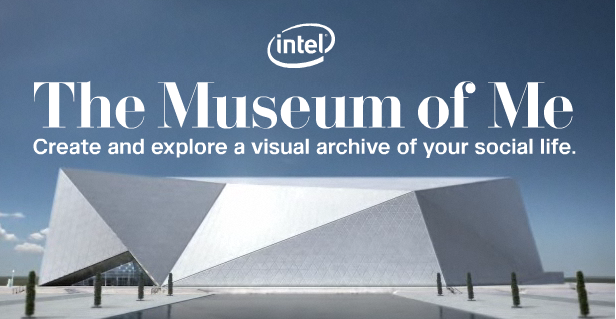 Intel recently launched a viral app called ‘Museum of Me’. It also created an interactive video gaming adventure on YouTube called ‘The Escape’. It continues to advertise on TV in India. While the Indian PC market is in an interesting phase of development and the internet consumption too is growing fast, it is observed that there is an interest in the internet users to recall memories and share them on social networking sites. This consumer behaviour has been the trigger of these promotions. ‘Museum of Me’ pulls information from the user’s Facebook page to create a virtual museum of digital life. Photos, videos, and friends are presented as pieces of art in a museum or an art gallery. The campaign is witnessing an organic growth on the social networking sites 15% of Indian Facebook users already exposed. The company markets this with the tagline Visually Smart reminding consumers of the high end graphics and multimedia abilities of the Core i5 processors. This is a game on YouTube with a movie style chase sequence. The visuals are created for the user to experience the benefits in an emotional way. The game has already got good number of visitors which also helped double the visits to the page http://www.intel.com. There has been an increase in positive buzz about the brand in the social media post these promotions. It is obvious that these wouldn’t immediately translate into sales and the ROI will come in the next three to four years. The visually smart positioning is advertised with the Bollywood movie channel on Youtube – Youtube BoxOffice. India is at a different stage of development where the phone and TV penetration beats the broadband internet, especially in the Tier-III and Tier-IV markets. The consumers in these markets are not so active on the internet and spend more time on TV. So, Intel continues to spend a lot on the television commercials. The company doesn’t want to advertise in the face rather create experiences around the brand and engage the consumers with the technology building a long term equity. Most of the promotions may not immediately translate into sales but will build the brand and let more consumers come into the category and the brand. With an appropriate promotion mix of both digital and traditional promotions, Intel is trying to capture the share of mind and be the top of the mind(TOM)of the consumers when they go for their computer purchase. Excellent post. Some good points you dicuss in there.